Renegades Racing on the water! Can you imagine a Games Event on the Water? Wouldn’t it be epic to watch the “2007” Games WOD from last night with a 1,000m row on the water instead of the erg? I don’t know if it’ll ever happen, but I hope I’m there if it does. Let us know how you think they should incorporate rowing on the water into the Games! 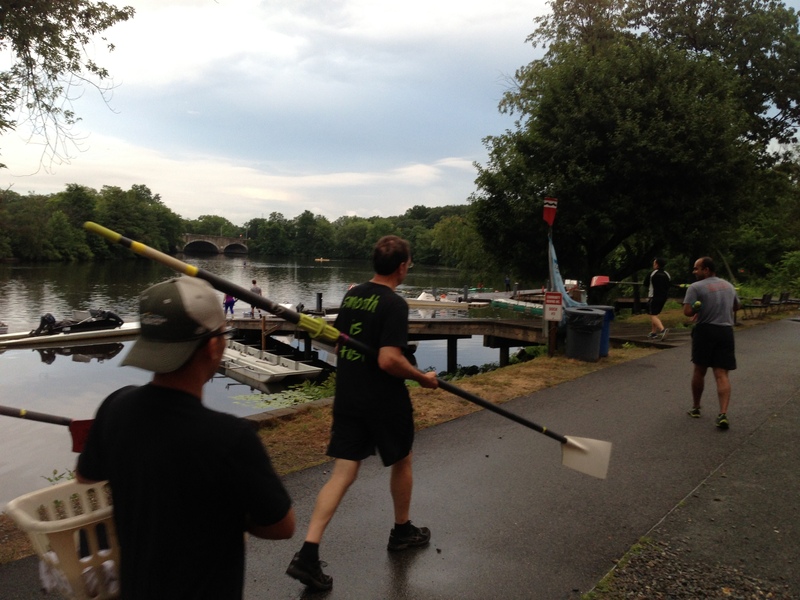 The Renegade Rowing Team kicked off their first week of practice last week and had a blast on the Charles River. We learned how to carry boats, set boats, and row barges. This week we’ll be in the 8+ learning our race warmup drills and rowing by 6’s. Keep an eye on the website and blog for video blog updates as we go through the season. I hope to start holding Renegade Rowing Classes at Community Rowing in September where we do workouts like “2007” on the water. Can’t wait to share the fun with you all! Post your thoughts about a Games Event on the water! This entry was posted in Fitness, Motivation, Our Mission, Rowing and tagged crossfit, endurance sports, functional movements, inspiration, new sport, rowing, sports, training, water by Renegade Rowing. Bookmark the permalink.